Jan Eric Visser is an artist who sees the value and potential beauty in the waste from his household. Once it has served its original purpose, all the paper and card, plastic packaging and local newsprint which comes in through the front door, becomes transformed in his studio into sculptural forms. 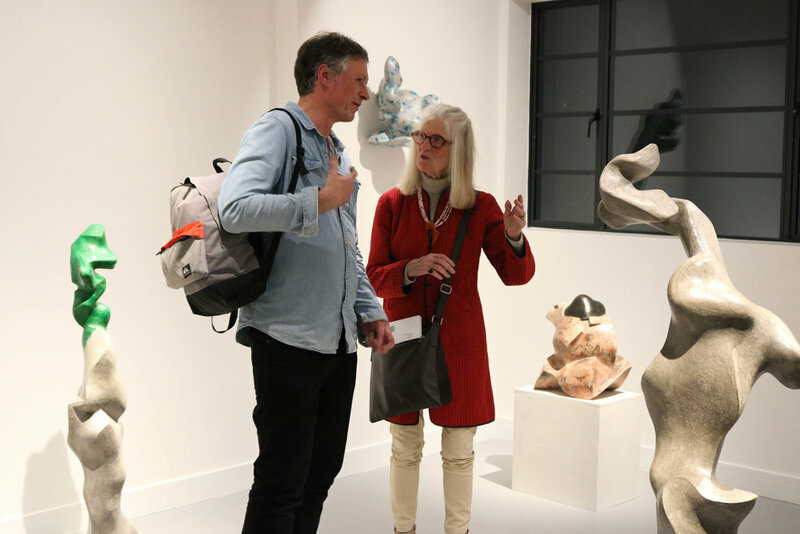 The first solo exhibition for artist duo, Julie Henry and Debbie Bragg. was Talent Show at the Anthony Wilkinson Gallery in 2000, followed by Dyed in the Wool at the Millais Gallery 2005, and a group show Rundlederwelten as part of the cultural festival for the World Cup 2006 at the Martin Gropius Bau Museum, Berlin. In 2011, their Blooming Britain project, a study of people who enter gardening competitions, toured as a large scale outdoor exhibition at gardens around the UK, and was shown in 2014 at the Chelsea Flower Show. 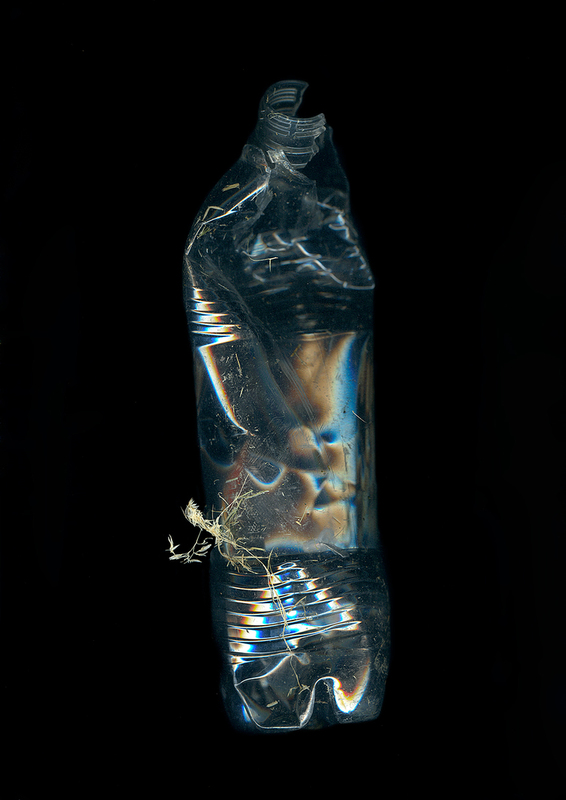 Glover began to collect plastic bottles from roadside verges in 2003, making scanograms of each using a black box mounted on a flat-bed scanner. 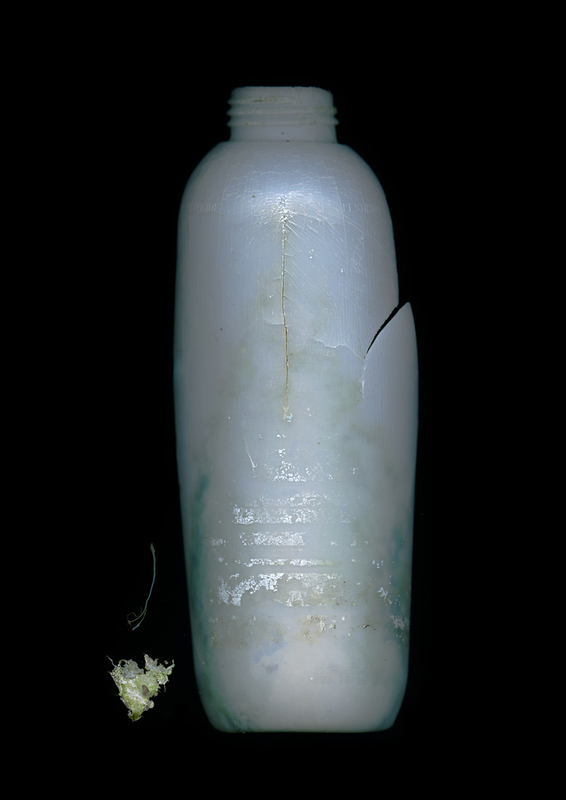 To the viewer they may seem akin to human portraits, even imparting the objects some nobility and even though the bottles represent no more than thoughtlessly discarded plastic waste. 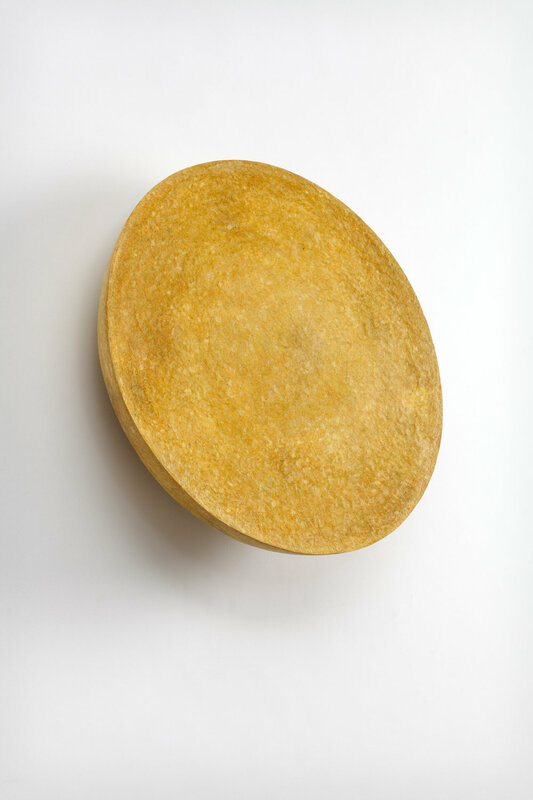 Jan Eric Visser’s urge to make art comes from a deep understanding of the ways in which a form needs to occupy space. 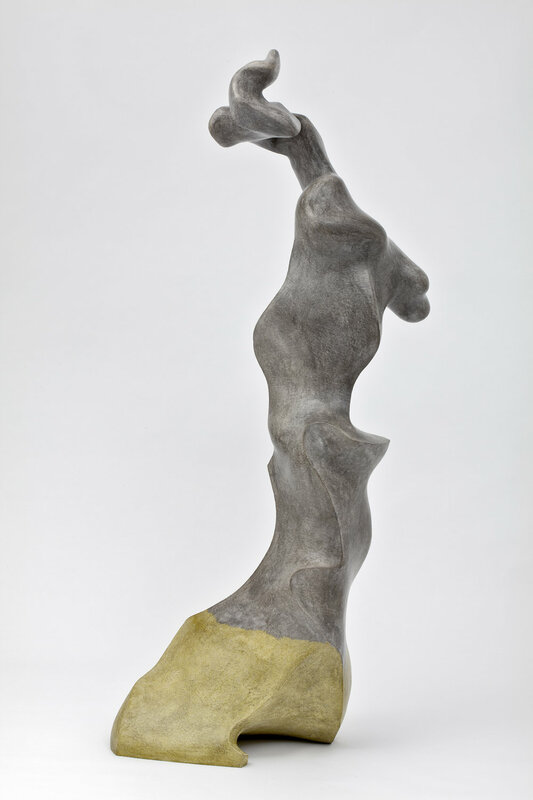 He is a sculptor creating extraordinary figures, hovering mysteriously somewhere between humanoid and abstract. 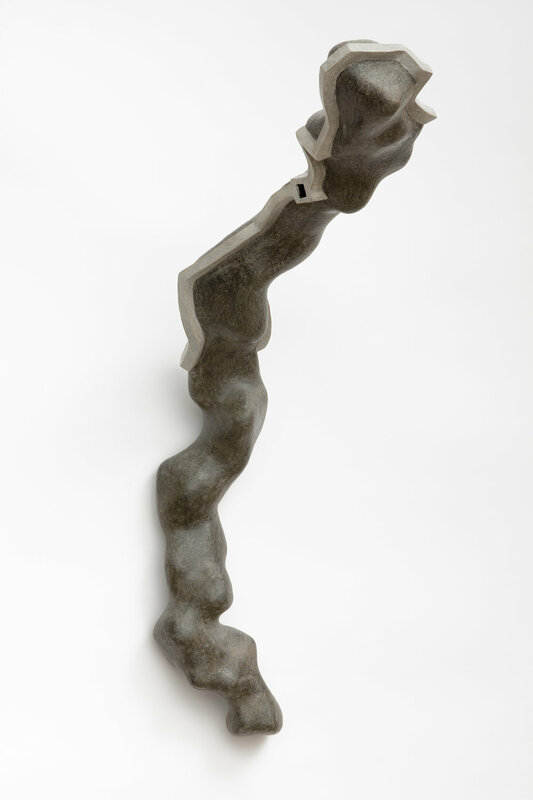 His work is unusual not only in its quality of surface and colour, scale and shape. Its material presence is inextricably related to the ethics of its production. In another place or context, the materials the artist starts with, common household waste, might be rubbish to be discarded without care, at best, recycled into another household product. 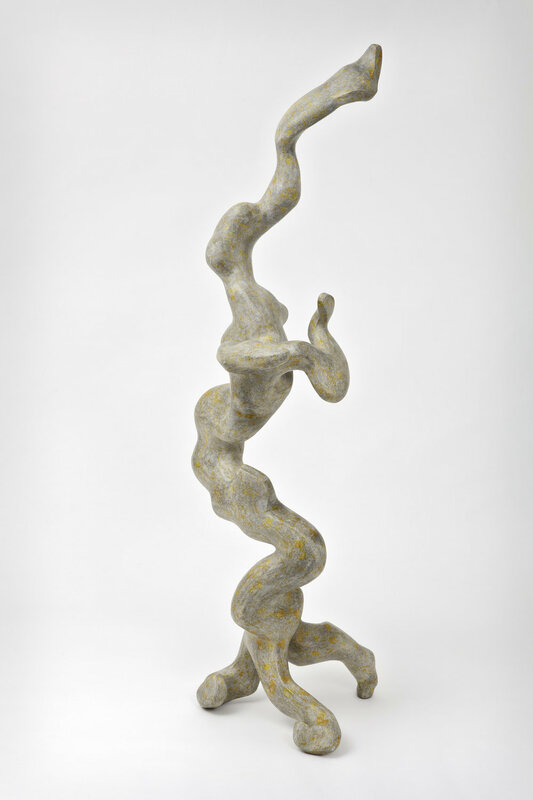 But in Jan Eric’s world, it becomes part of another form of existence for artistic purpose. As art, Jan Eric Visser's work is part of a new kind of environmental politics. The artist collecting trash from beside the Great Ouse river for making into art as part of the Trash | Art show. Jan Eric Visser is constantly on the search for new and innovative waste materials. Above is a new sculpture made with two of them. The base is a translucent concrete developed by the University of Eindhoven to include waste glass and minerals to aid self-cleaning. The sculptural form is a material called Aquadyne made from 100%post consumer-waste plastics. Aquadyne is a new material which has macro and micro pores that enable the rooting of plants. It may be used for drainage, green roofs, green facades. Even vegetables may be grown on it! It was developed in the North-East of England by Mr. Gaskarth, who invested a great deal of personal effort, time and money, putting everything on line to develop this material out of rubbish. The new type of concrete has been developed by Technical University of Eindhoven. Concrete is the second most produced material in the world after drinking water. Unfortunately, it is highly unsustainable in terms of CO2 emissions and resource efficiency. Now, the University of Technology Eindhoven have developed a new type of concrete in which aggregates and Portland cement have been replaced by waste materials, such as glass waste. Also a mineral has been added to render the concrete self-cleaning and eliminate air pollution. Thus it uses UV light to prevent the growth of algae and degrade small particles in the air we breathe known as nitrogen oxides. Its performance is increased by 40% as the various glass particles used in the concrete intensify the UV light. The title of this project draws upon the final page of Charles Darwin’s famous Origin of Species. Here Darwin speaks of an earth bank covered by grass and other flora, a place not so different from places where Glover collected bottles. For Darwin, such banks formed storehouses of biological complexity where the waste of one species composed the food for another. Waste is sometimes referred to as ‘matter in the wrong place’ but Darwin showed that there is no waste in nature. Human-produced toxic waste began long before the onset of consumerism and the availability of modern plastics. Some plastics persist in the environment for thousands of years, with serious consequence for sensitive ecological processes and food webs. Over 13 billion plastic water bottles are sold every year in the UK of which only one quarter are recycled. A single one litre plastic bottle requires 162g of oil and seven litres of water in its manufacture and produces 100gs of carbon dioxide. Cannot society, for ultimately our own selfish benefit, do without them? 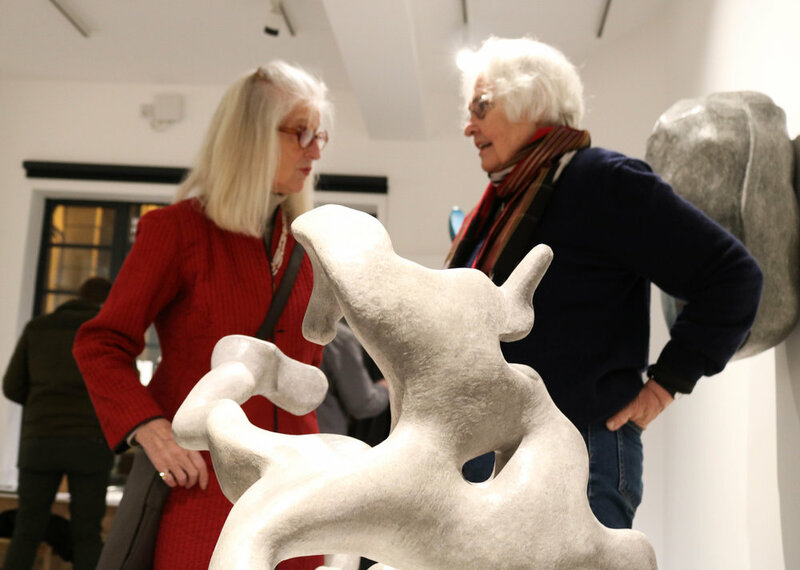 Lee Grandjean is a sculptor working in Norfolk whose work is highly inventive and experimental. He paints, draws, carves, assembles, constructs. His work tackles themes about the body, nature and the interactions between different environments. Frequently he will use different media in order to create a dialogue from one work to another either in terms of its subject matter and meaning, or its form, usually both.